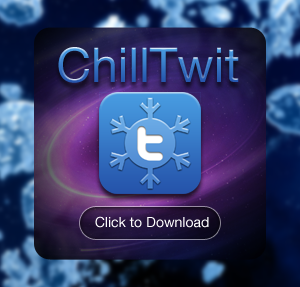 There are a lot of Twitter applications out there for the iPhone, but ChillTwit is the first one I’ve found that allows customization at this level. The background is fully customizable with images directly from your iPhone, making it a personal experience for you as you use Twitter. Of course, you are able to send your tweets as well, and visit the sites quickly that are linked in tweets of those you follow.